The School of Electrical Engineering and Computer Science at Oregon State University provides a comprehensive, state-of-the-art education that prepares our students to be successful in engineering practice, advanced studies and research. 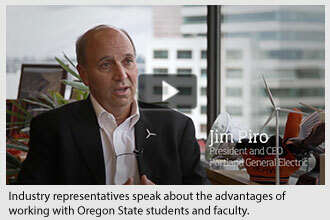 The Oregon State advantage is recognized by leaders in industry. ABET accredited programs leading to B.S. in Electrical and Computer Engineering or B.S. in Computer Science. Year-long capstone senior design course with industry sponsorship and participation. 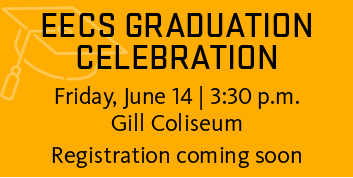 Approximately $450,000 in scholarships awarded by EECS to undergraduates each year. Strong graduate programs leading to M.S. and Ph.D. degrees. Apply to EECS graduate programs. Encouraging women and underrepresented minority students in the field of engineering is important to educators and industry alike. Our faculty, who serve as mentors to the students, have diverse backgrounds and experiences, and are motivated to increase the diversity of undergraduate students. Visit our Diversity and Inclusion page to learn more. Corvallis is a small, friendly college town that is consistently ranked high for livability. In 2016, College Magazine ranked Corvallis fourth in their top 10 college towns you’ll never want to leave, the 12th best small place for business and careers by Forbes Magazine, and one of the top five cities for entrepreneurs by Entrepreneur Magazine. An hour’s drive of the Pacific Coast and two hours from the Cascades and high desert, Corvallis is an ideal site to live and work. Visit our Life in Corvallis page to learn more.